Nations Press feature news Girl Accidentally Shot Her Instructor-Who's to Blame? ?-Must Read!! Girl Accidentally Shot Her Instructor-Who's to Blame? ?-Must Read!! 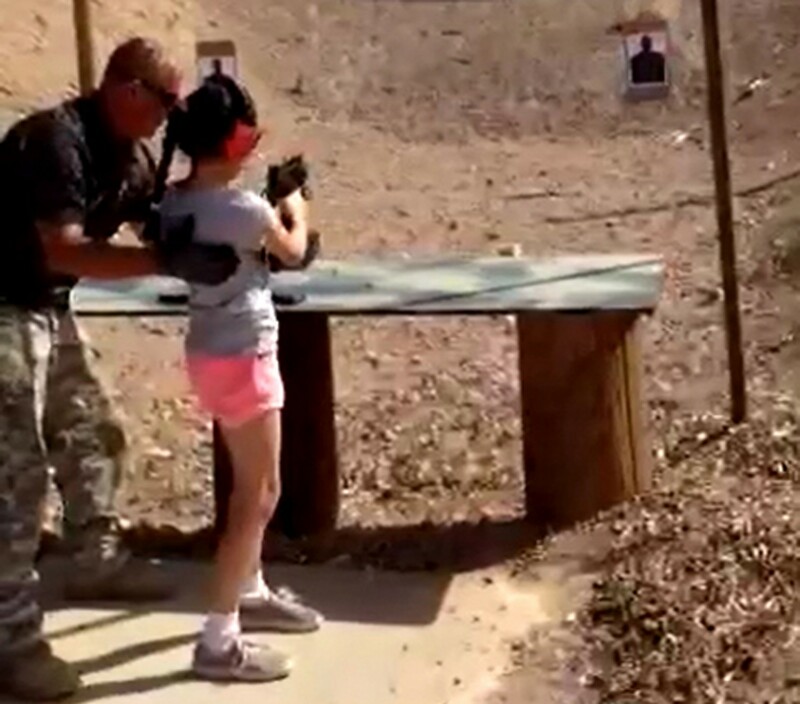 The 9-year-old girl who accidentally shot and killed her shooting range instructor with an Uzi in Arizona last week said afterward that the gun “was too much for her,” according to a police report. This girl unintentionally shot Charles Vacca, an instructor at the Last Stop shooting range about an hour outside of Las Vegas, in the head. He died that night, and the accident sparked a debate over whether such a young child should have been allowed to handle such a powerful weapon. The girl’s father, who said he and his wife had brought their two daughters and son to the range from Las Vegas, said he had fired the gun before his daughter. He told police that after his daughter shot the Uzi, he thought she was injured because she was holding her shoulder. He said the family initially gathered around her, unaware that Vacca had been shot. After the fatal shot was fired and the girl dropped the gun, she turned to her mother and told her that “the gun was too much for her and it hurt her shoulder,” the mother told police. When they realized Vacca was wounded, the girl’s parents took the family into the nearby restaurant to keep the children from seeing what was happening. Meanwhile, the staff of the Last Stop told police that the release waivers the family had signed “were blown away by the wind after the incident had occurred.” No criminal charges are pending, but the Arizona Division of Occupational Safety and Health has said it is investigating the shooting.